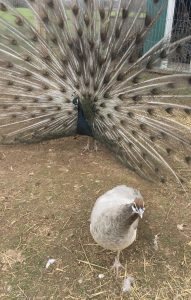 The Opal Peafowl variety is a relatively new breed of peafowl and first occurred in the 1990’s in USA. David Dickerson of Delaware and Dwayne Jones of Maryland created the Opal variety of peafowl. The United Peafowl Association officially recognised the Opal Peafowl variety in 2001. 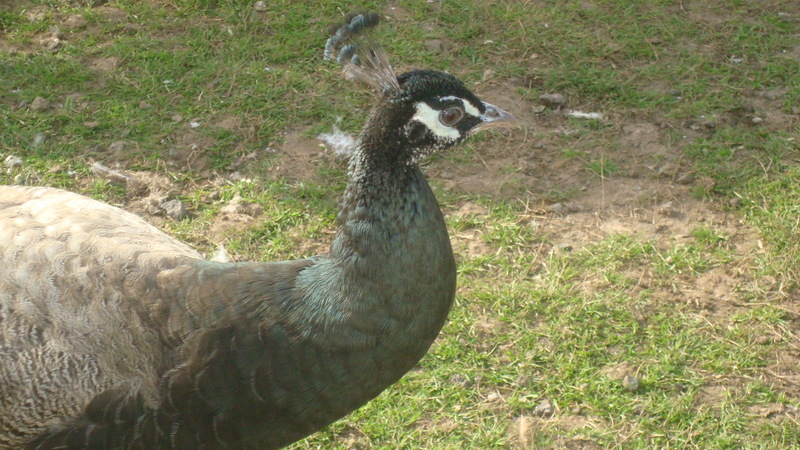 Peacocks UK introduced the Opal Peacocks into the UK in 2011 from USA. The Opal Peacock has a darker grey neck with iridescent hints of Opal gemstone colours. It is this iridescent colour that gives the Opal it’s name. The Opal peacocks wings are barred in dark and light grey. The ocelli are opal, black and copper in colour. 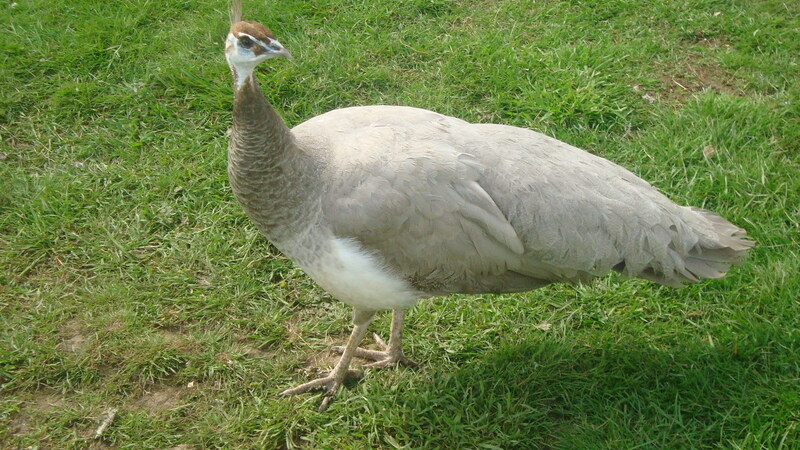 The Opal peahen is a pretty light dove grey colour totally different from the Purple or Cameo peahen. Also there is no iridescent colouration on the neck of the Opal Peahen unlike the other breeds of Peahen with the exception of the white. Opal Peachicks are easy to identify as they are born a lovely light dove grey colour. 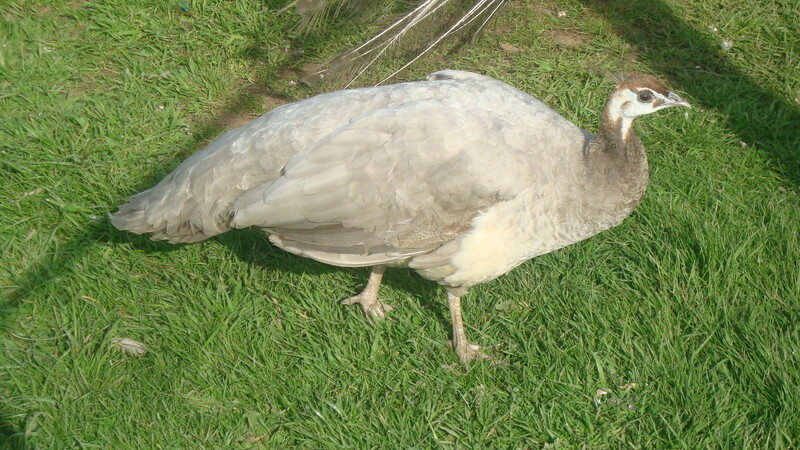 An Opal Peachick looks so different to Indian Blue, Cameo or Purple peachicks. The Opal Peacock is easy to identify as the male peachicks develop baring on their wings and the opal colouration around their necks. 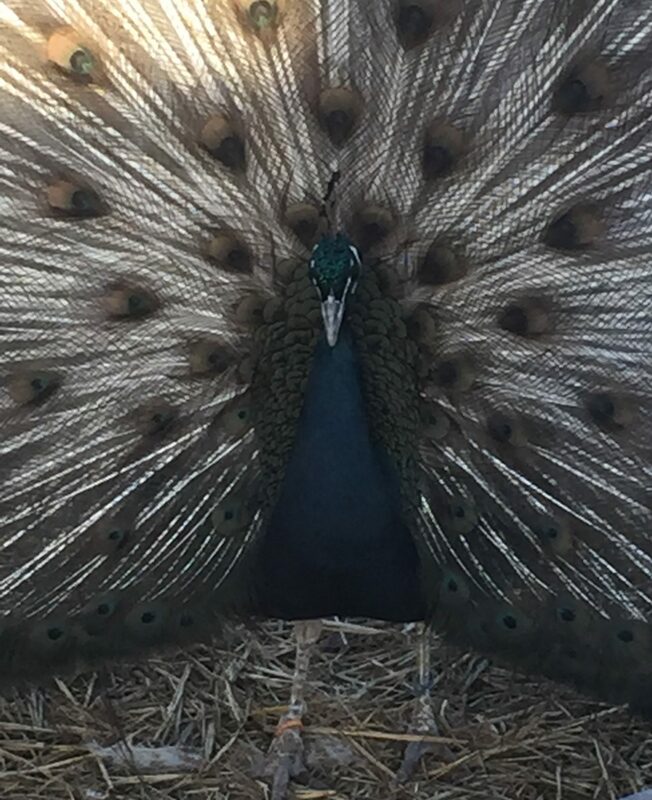 When breeding, Opal Peafowl bred to Opal Peafowl they breed true. 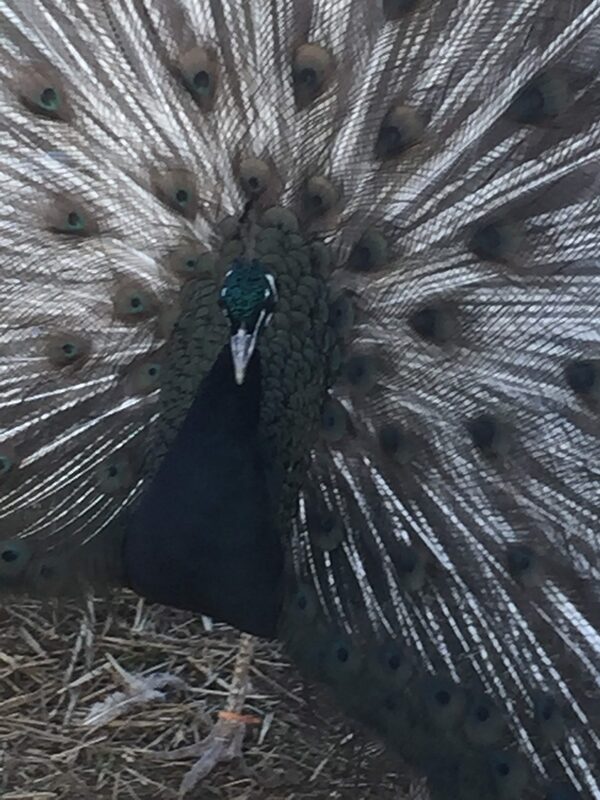 Opal Peafowl are available in USA in a number of varieties which include: Opal Silver Pied, Opal Black Shouldered, Opal Spaldings, Opal White Eyed, Opal Black Shouldered Pied and Opal Black Shouldered White Eyed. We have been very successful breeding Opal Peafowl and consequently have created a number of breeding lines. As a result of our success in breeding Opal’s, in 2015 we established a robust commercial UK breeding programme. 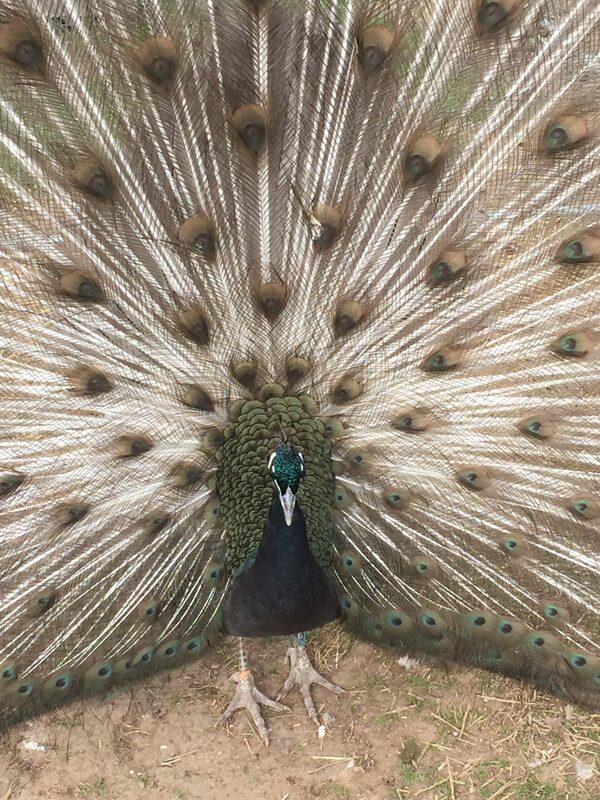 See our Peafowl for sale page for detail of Opal Peacocks for sale in the UK.